Buy an Autographed 1st Edition of the C.B. 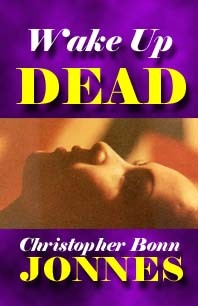 Jonnes suspense novel, WAKE UP DEAD, now in its second printing. 2) Mail a check or money order for $16.00 (+6.5% sales tax in Minnesota) made out to the author and mailed to the Stillwater, MN address below. Be sure to include your complete mailing address and any requests for "personalizing" the book. Your payment covers all shipping and handling. Each book is individually signed and dated by C.B. Jonnes. Be sure to specify WAKE UP DEAD or BIG ICE. Get a 1st edition while supplies last. Click here for an order form in PDF format. The Perfect $16 Gift For All Occasions! It's in the right price range. No extra shipping or handling costs. Send a personal message handwritten by the author. You don't have to go shopping, just mail your check or money order. It's like a Savings Bond; it'll appreciate in value (especially when the movie is released). Become a close, personal friend of a famous author. You can borrow it later and read it for free. It doesn't matter if you like the author or the book; it's not for you. The movie rights sold; it's like giving a signed 1st edition of Gone With The Wind. Which occasions is this appropriate for? More reasons to buy are available on request. The boss who fired you. The witch who dumped you.